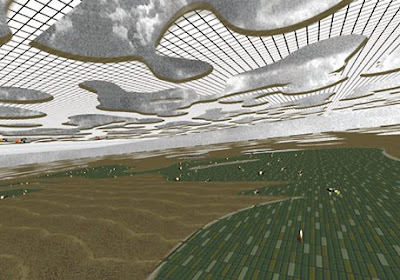 As Building Information Modeling (BIM) gains in market share in architecture and related disciplines, there will be a need for landscape architects to adopt this technology in order to maintain the level of service for their clients. This shift is not just a new technology to adopt but a paradigm shift in thinking, designing, and preparing documents for projects. LAs should not fear this trend, but lead in the application. History, however, says we will reluctantly adopt, all the while complaining that software manufacturers don't make products with landscape architecture in mind. This argument has held sway in my office for some months - as we are beginning to work on projects that are using BIM, (and more specifically, the popular Autodesk version, Revit). There are many options, but Revit, much like AutoCAD, seems to be the popular choice for a number of firms. From the bits and pieces I've read, as well as some seminars I've attended, the similarities with standard AutoCAD and 2-D drafting are minimal, and the 3-D process and products are vastly different. Thus it will require a definite investment of not only money, but also time in preparing and training employees on this new technology. It may just be worth it though. currently is used primarily in the building industry, it can be employed in many other disciplines, including landscape architecture. ... 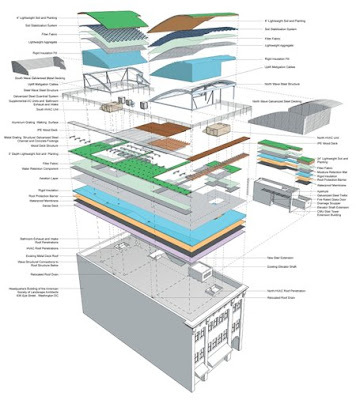 The LATIS discusses how BIM works, current applications and projects, and how it can be adapted to a variety of sites. It provides practical information on how landscape architects can adapt BIM to fit their specific needs." 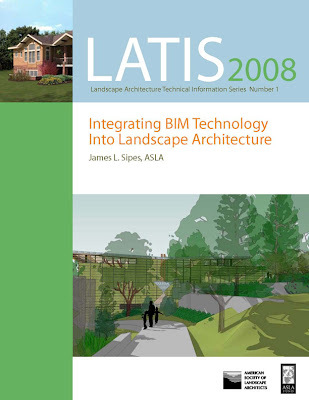 I've just started to delve into the An interesting concept that Sipes brings up is the further elaboration of the BIM technology to LIM (land information modeling) and SIM (site information modeling). These start to address some of the architecture-centric ideas that dominate discussions about BIM, and due to an overwhelming market-share, get the attention of product developers. Much like Sketchup and other 3-D tools, and for that matter AutoCAD, Illustrator, and GIS - the landscape tools provided are minimal - but the potential for internal development of resources that work for LAs is immense. A couple of case studies are mentioned as well in the document that are using BIM in the project sphere. 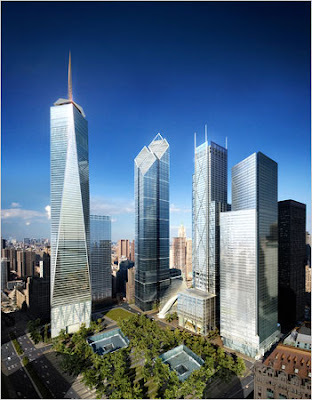 One in particular is Freedom Tower, where SOM is using another BIM program, Digital Project to provide designs for this elaborate and expensive project. There are many more examples in the document, and a number of other platforms, including more site specific examples that are worth checking out. My inital thoughts are zooming when thinking of the possibilities of BIM/LIM/SIM into the future. We do a good amount of work on structure, and the integration of building and landscape (can someone say Veg.itecture) will require the compatibility of methods and systems. Things as simple as accurately modeling detail connections, or providing 3-dimensional profiles of soil depths on green roofs - can make the difference between success and failure. Another interesting idea is the thought of real time costing for landscape - and the ability to hone concept, design development and construction documents down to a real time numbers in order to maintain budgets, specifically for complex projects. There is obviously the work to compile and update numbers, but the ties between current databases and BIM should make this work smoothly. My final thought is the ability to design and study landscapes and sites in 4-dimensions fits nicely into our reframing of landscape process to include time (ala one of the major tenets of Landscape Urbanism). Imagine smart objects (not static items), GIS data, and a wealth of creativity - that can be imbued with characteristics and run through scenarios based on available data or assumptions. This technology will allow us to break out of the landscape-as-product paradigm and into a more flexible and adaptable system. Kind of Field Ops on steroids. The possibilities of capturing the complexity of landscape is difficult to imagine, but this is definitely another tool in the toolbox. The most compelling comment as well comes from Sipes, regarding innovation: "Landscape architects need to take innovative approaches to implementing BIM whether standards are available or not." This goes back to the earlier comment - will be wait around for things to start happening that work for us - or do we take the initiative and provide a vehicle for furthering the thrust and cause of the profession.